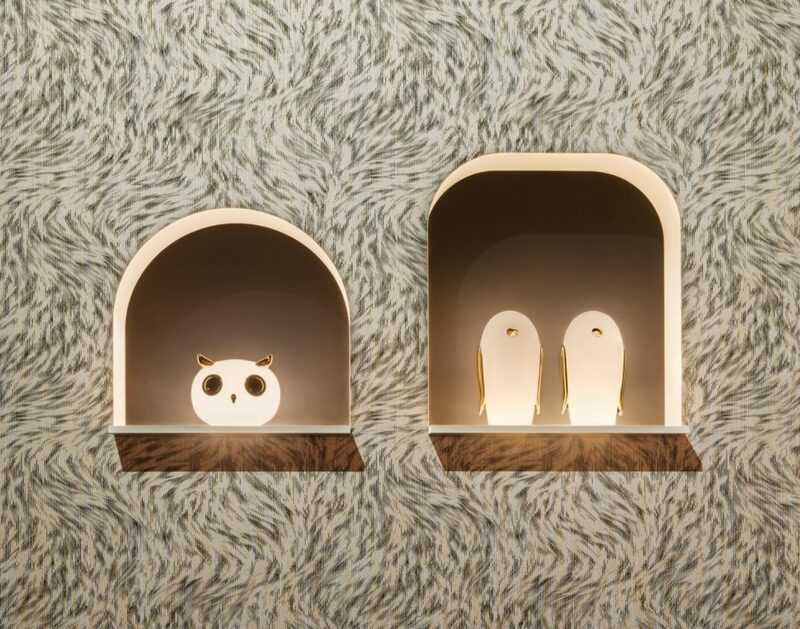 Moooi, a Dutch brand, recently revealed at Milan Design Week, a new range of designs that are aimed to tribute extinct animals. The collection includes many textures such as carpets, wallpapers, and even leathers and fabrics. All of these extravagant designs were made possible by Moooi in collaboration with Arte, a Belgian brand. The collection is focused on the images of 10 extinct animals. 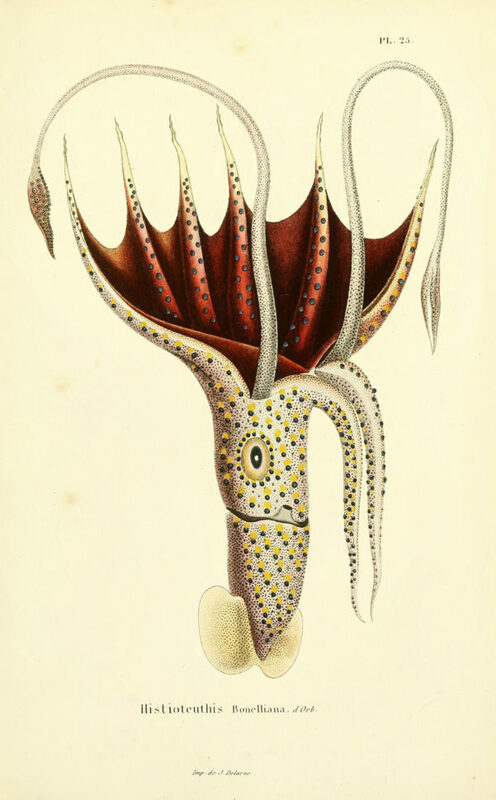 The images used were gathered from various museum archives. 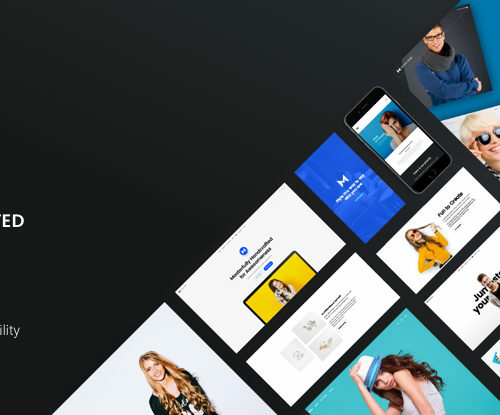 But, the creativity doesn’t stop there. The designers at Moooi took inspiration from each individual create featured in the collection and made their own designs. 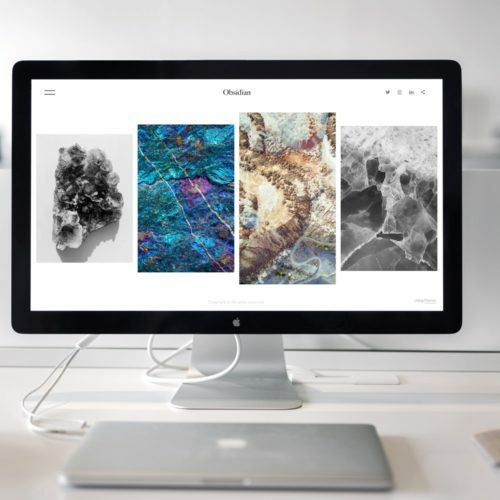 They took a look at the colors, textures, patterns, and whatever else these gorgeous creatures had to offer and channeled them into textures of their own. 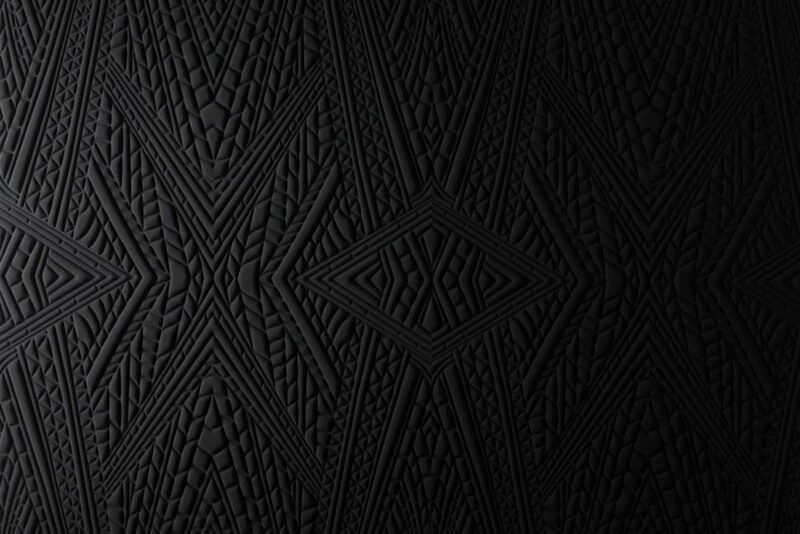 This Black wallpaper is designed after the Dwarf Rhino. While the dwarf rhino is not currently extinct, it’s numbers are greatly threatened as they dwindle more and more each passing day. The goal of this collection is to bring light to animals that are extinct and ones that we may loose in the near future. 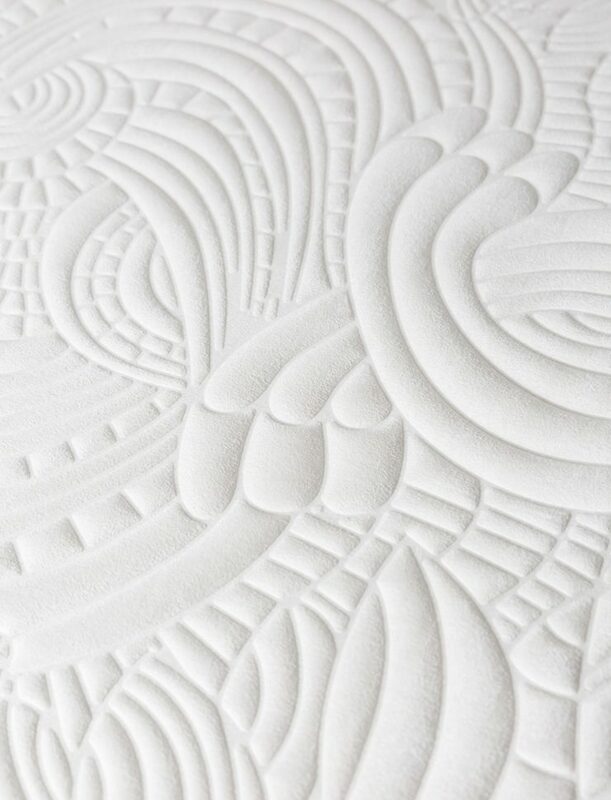 This white design is based on the delicate plumage of the dodo bird, a once common animal, now completely wiped out. For some of the designs, the designers took the myths behind the animals into account. 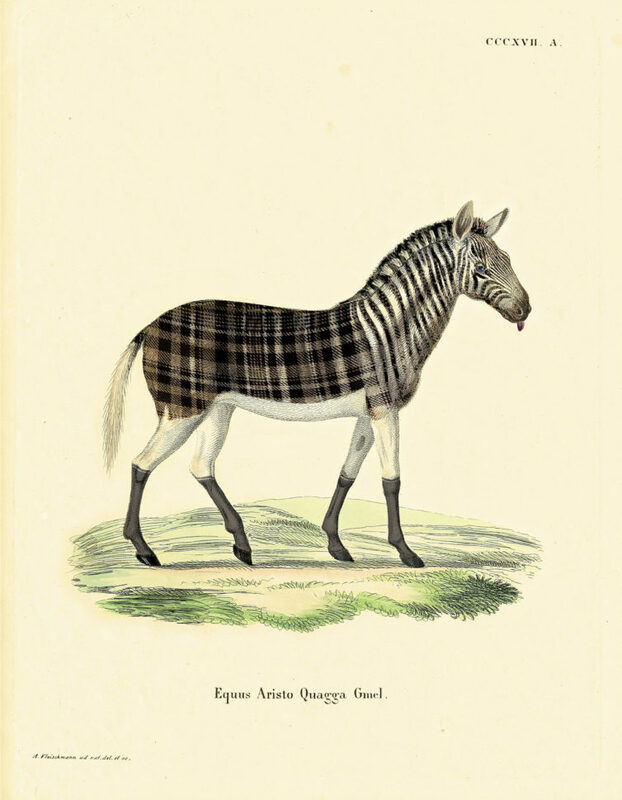 For this guy above, the quagga, the design is meant to exaggerate its delicate features and royal appearance. 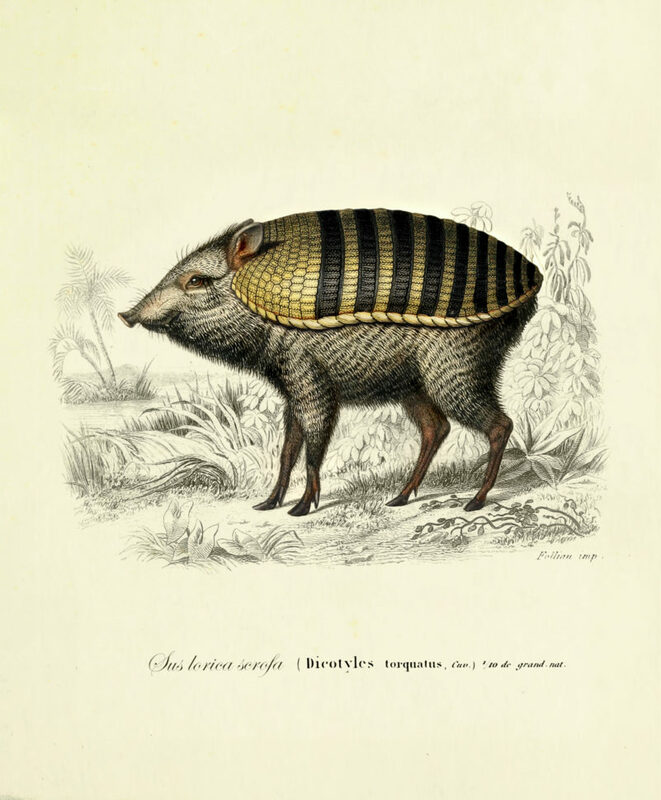 For the armored boar, the image was printed on Japanese paper and gauze, to mimic the tough and shiny armor plates that the boar had. It also helps mimic the colors of the extinct creature as yellow and blue-ish accents flow throughout the image. 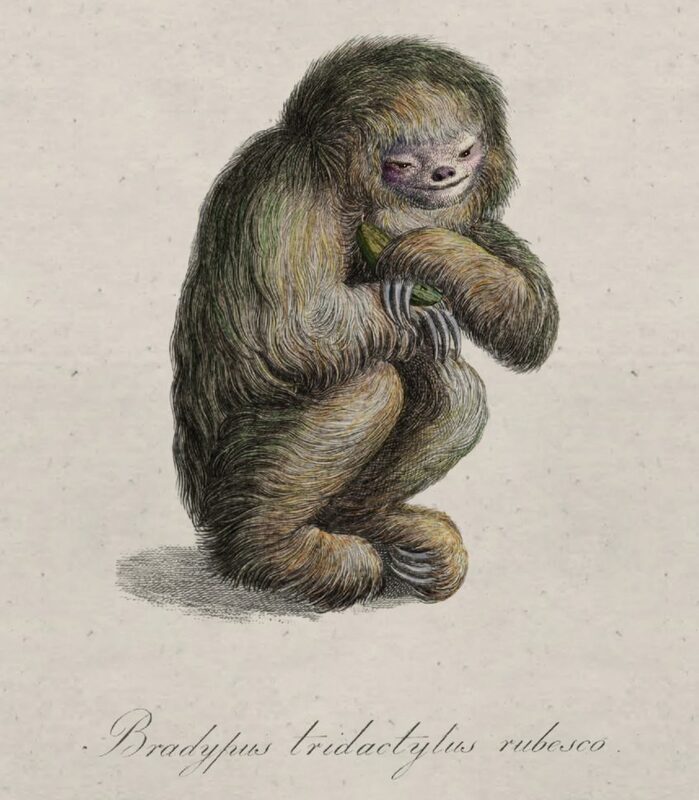 The blushing sloth design was printed with brown swirls to give the illusion of the sloth’s unique fur. The description of this collection is overwhelmed with words like “Illusion” and “Mimic” because those are the only things we have left of most of these animals. 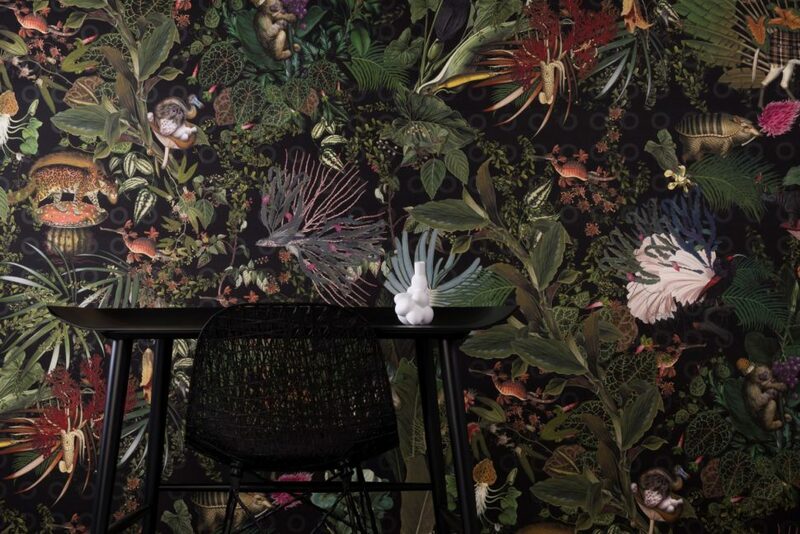 Moooi used their designer influence to bring light to the beauty of what once called this planet home.